YellowAirplane.com: Sky Divers, Enjoy the Ultimate Drop Zone on Earth. Skydive on the North Pole. Sky Divers, Enjoy the Ultimate Drop Zone on Earth. Skydive on the North Pole. 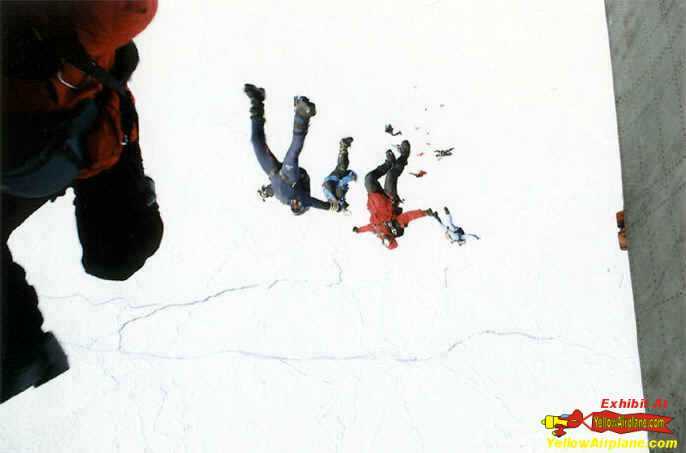 Skydiving on the Geographical NorthPole. If you love adventure and Sky diving, you will love sky diving on the north pole. It is the ultimate drop zone. Enjoy the Sky Diving Pictures on this page. Skydiving on the NorthPole is the Ultimate Log Book Entry. Sky diving on the North Pole. 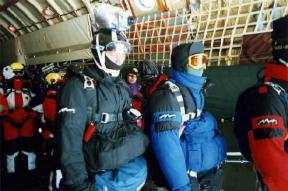 From the Webmaster: I've been working with sky divers and sky diving on the North Pole for some time now. 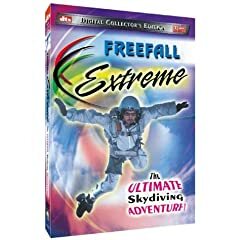 I watched the first wing suit jumper fly around the world covering all time zones in superman like fashion on the North Pole. I've seen a Russian military school student sky dive over the North Pole on his 21st birthday. All I can say is that the North Pole is the ultimate drop zone logbook entry. Send me an eMail below and find out how you can sky dive over the North Pole too. Go to the YellowAirplane Stores Front Door to See a Lot More. taken by C. Jeff Dyrek. On this expedition, Global Expeditions of North Pole Adventures was the Expedition Leader. The North Pole Expedition is Loading up FAST, so Call Now! Please Excuse me but I am not listing the North Pole Travel s on this site. Home page for Polar Adventure Exhibits. 2005 North Pole Picture Gallery. 2003 North Pole Picture Gallery. 2002 North Pole Picture Gallery. 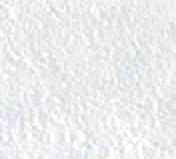 2001 North Pole Picture Gallery. Curtis Lieber's South Pole Action Adventure. This is the greatest drop zone on the planet Earth. Skydive on the North Pole and you are sky diving on the top of the world. You will never have a greater logbook entry. You will never have excitement like this anywhere in the world. We have been taking skydivers to the pole since 1997 and they always come back with, "This was fantastic." or "This is the greatest jump that I have ever done." It's true, sky diving on the North Pole is unlike any other place on the planet and you will never see so many fantastic views. Just email me at the link above and join our skydiving group next April. Don't wait, time moves faster than you think and space is limited, get registered today. This jump was made on 2001, Altitude about 15000 feet and there are about 15 Jumpers in this picture. Day 1, We will pick you up at the Longyearbyen Airport then transfer you to your hotel. Day 2, Preparation for your jump and equipment checkout. Group meeting and celebration dinner. Day 3, Depart for the North Pole Base Camp, Camp Borneo, on an An-74 airplane. Flight time will be about two hours. Final checkout of equipment. Depart Camp Borneo for the Geographical North Pole aboard a Mil Mi-8 helicopter. Land at the North Pole, drop off tourist and equipment. Takeoff for the jump from about 5000 feet. Return flight to Camp Borneo. Depart Camp Borneo back to Longyearbyen. Day 4, Flights to home or take the highly recommended local tours on snowmobiles, dog sleds, ice cave tours or Coal Mine tours. These tours are fantastic. Please note: This itinerary can change at a moments notice depending on the weather in Longyearbyen or at Camp Borneo. Please call to make arrangements for tandem jumps. s may vary depending on the skydiver that you will be jumping with. Travel to and from airport. Celebration Dinner prior to flight to pole. All flights to and from the pole. EXP parka, pants and boots. We have a limited number of jump boots available. Jump equipment. Note: We can arrange for equipment and tandem jumps. Experience Required: You must have previous jump experience and be prepared to show your license to the Jumpmaster. For Tandem jumps there is no experience necessary but prior arrangements must be made for tandem jumps. Physical Abilities: You must be in reasonably good condition. To this date there has been no tube jumps done at the pole. You can be the first. Also, I don't believe that there has been any canopy formations or stars done on the pole, you can be the first to do this too. Click Here to see a list of other Drop Zones or to add your Drop Zone to the List. Please Notice. YellowAirplane.com does not sell these North Pole Expeditions or other Adventures. All of the Adventure companies listed on this site are paid sponsors to YellowAirplane.com. YellowAirplane.com only provides its space on an advertisement basis. 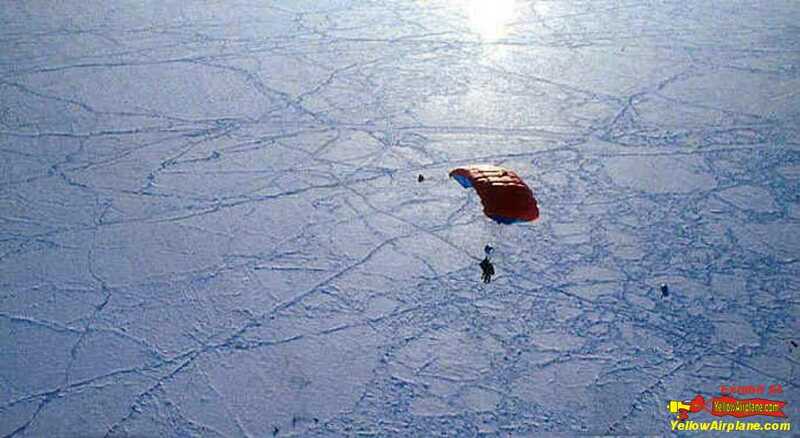 A photo of a Tandem Parachute jump practice session in Khatanga, Russia. North Pole Parachute Jumps, Skydiving, Skydivers, Pictures.